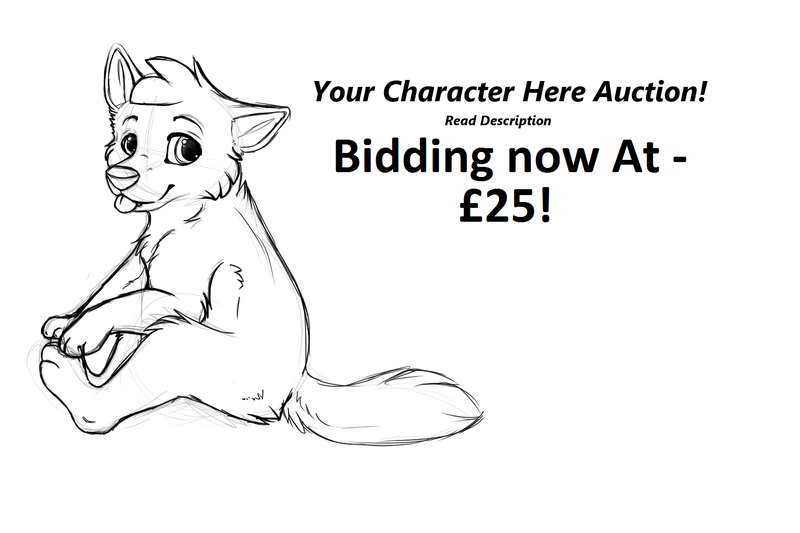 So I thought I would try out a YCH thing.. since I need monies for several things, one of them being I need £20 for rent next week, and then what ever else I can make is so I can take my whitepaw1 and I out on a date on the 17th (Which then we will have been together a year) I also need basic things again like pop. 1) Bid as a reply to the highest bidder. 2) There is no set price, but I would like to make over £10 on this. So its up to the first person to bid what the starting price is! 4) I can change the ears, the hair and the tail, I can change the base, but it wont be changed that much since it was for a canine, but I can do a panda/tiger out of it etc. Coloured sketch anything £6 or under. £17+ Free simple background, also made into a badge for you.